Tikit, part of the BT Group and leading provider of technology solutions for law and professional services firms, has today announced a new business win with NetDocuments. 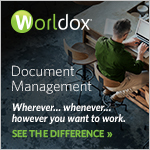 DocSolid, the leader in enterprise scanning, workflow and paper reduction solutions for the legal market, today announced a strategic technology integration with NetDocuments, the leading SaaS document and email management (DMS) provider for law firms and corporate legal departments. Clearlake Capital Group, L.P. (together with its affiliates, "Clearlake") today announced that it has reached a definitive agreement in partnership with management to acquire NetDocuments (the "Company"), the leading provider of secure cloud-based document management, email management, and collaboration solutions to law firms and corporate legal and compliance departments. iManage today announced that it is seeing significant momentum within its global network of partners, adding 35 new partners worldwide during 2016 bringing the total number of partners to more than 150. Formpipe Intelligo has today announced it has signed a contract with Swedish independent tax adviser Skeppsbron Skatt regarding Contentworker, a dedicated Document Management Solution (DMS) for lawfirms. iManage today announced that a growing number of law firms are selecting iManage Work as an effective way to transition off the Thomson Reuters Elite Envision practice management system as it approaches end-of-life. iManage, the leading provider of Work Product Management solutions, today announced that seasoned IT professional Gianni Giust has assumed the role of iManage Managing Director for Australia and New Zealand. 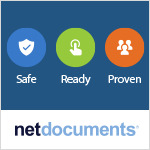 NetDocuments, the leading cloud-based document and email management (DMS) platform for law firms and corporate legal departments, today announced an increased adoption of NetDocuments’ native cloud-based document and email management platform. NetDocuments, the leading cloud-based document and email management (DMS) platform for law firms and corporate legal departments, announced today that Mubashir Mian has joined the company to lead professional services projects across EMEA.